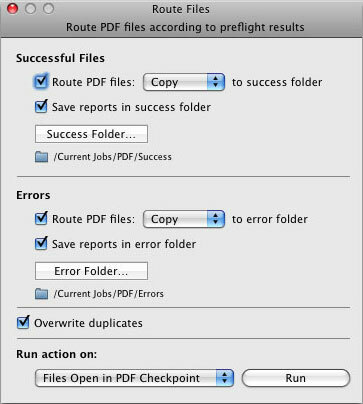 Zevrix Solutions has updated their PDF preflighting and conversion automation product. Remarkably fast, PDF Checkpoint automatically preflights, exports as images, splits and optimizes multiple Adobe PDF files. PDF Checkpoint is an ideal program for users who need fast, affordable and easy-to-use software for efficient PDF workflows.. The new version allows users to convert colors of PDF files to the selected ICC profile. For example, user can convert RGB files to CMYK profile for professional printing, turn color documents into grayscale, convert all colors to sRGB for web viewing and so on. Users can choose to convert all objects or only images, graphics or text. In addition, the update offers streamlined user interface, improves handling of duplicates during conversion and includes numerous stability and productivity enhancements. * Automate batch preflighting and conversion of multiple PDF files. * View all PDF fonts, colors, images and metadata at a glance. 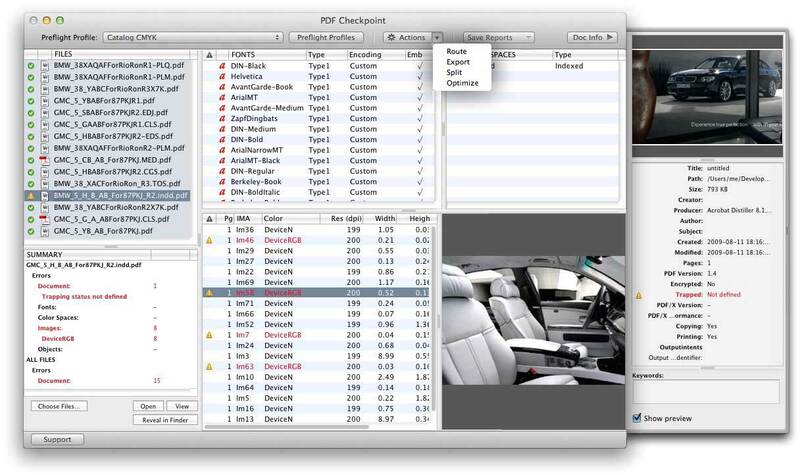 * Efficient handling of PDF files based on preflight result. * Convert colors to selected ICC profile. * Split PDF files into single-page documents. * Export PDF as images and specify output resolution, color and page scale. For example, users can preflight a folder of PDF files and convert them to TIFF images at 300 dpi while scaling each page by 50%. Or optimize PDF's colors for the web and mobile devices while reducing file size dramatically by downsampling images to the screen resolution. Toronto, Canada - Located in Toronto, Canada, Zevrix Solutions provides automation and productivity solutions for Adobe Creative Suite software, PDF and graphic file diagnostics and Microsoft Office on Mac OS. Zevrix is dedicated to help professionals increase their profits through automating everyday tasks, producing error-free documents, saving disk space and cutting production costs. For more information, visit their website. Copyright (C) 2014 Zevrix Solutions. All Rights Reserved.